But bitcoin, down 2%, and ethereum, down 5%, still suffering. Putin is proposing tighter regulation of the cryptocurrency space. LONDON — Global cryptocurrency markets have stabilised slightly on Wednesday after a major sell-off, but the two biggest tokens are still losing ground. 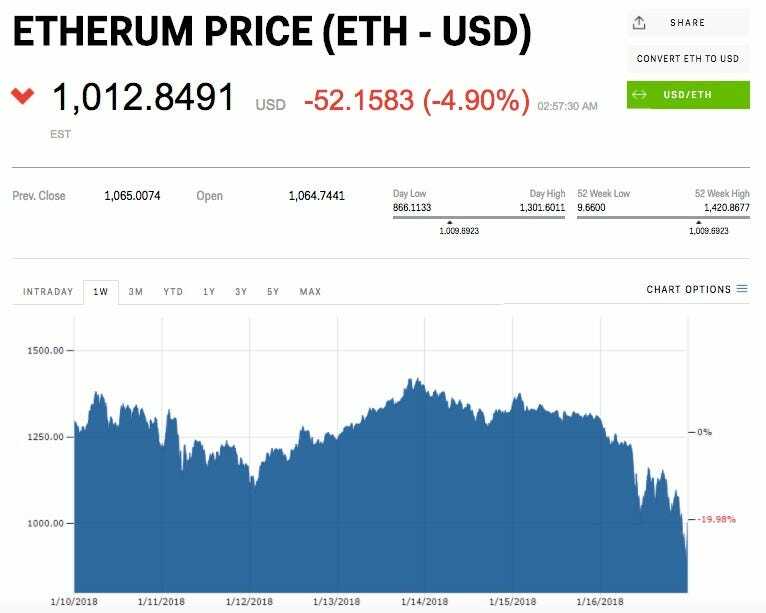 All of the major cryptocurrencies suffered double-digit falls on Tuesday in what commentators described as a cryptocurrency “bloodbath.” The selloff was thought to be triggered by concerns about regulation in the Asian market.